It's installed with National Chinese library, Grade 1 & Grade 2 (over 6000 characters), PinYin Input method. The 4-lines printer can print 1-15 lines of English and numbers or 1-8 lines of Chinese characters, Can print large or small characters, One printer can perform Two functions! Two in one! The user can input symbols and texts of any length, which is not limited by the ratio of length & width and length requirement. This printer can be used independently without computer connection, User friendly design and easy to operation. Printing Font: High-definition printing font (Print Font). It's installed with National Chinese library, Grade 1 & Grade 2 (over 6000 characters).The mainframe is equipped with 4 fonts library (SongTi, HeiTi, KongxinTi, Dot Matrix font). When editting, these 4 fonts can be mixed for layout at the same time. If other fonts are needed, it can be transfered via computer. Printing Symbols: It can print various trademarks, logos, graphics, texts, numbers, and special signs, that are not limited by the ratio of length & width and length requirement. Automatic Printing: Date, time, lot No, Shift No, Sequence No. etc. Printing Speed: Maximum 35 meters /minute and the speed isn’t influenced when printing more lines. 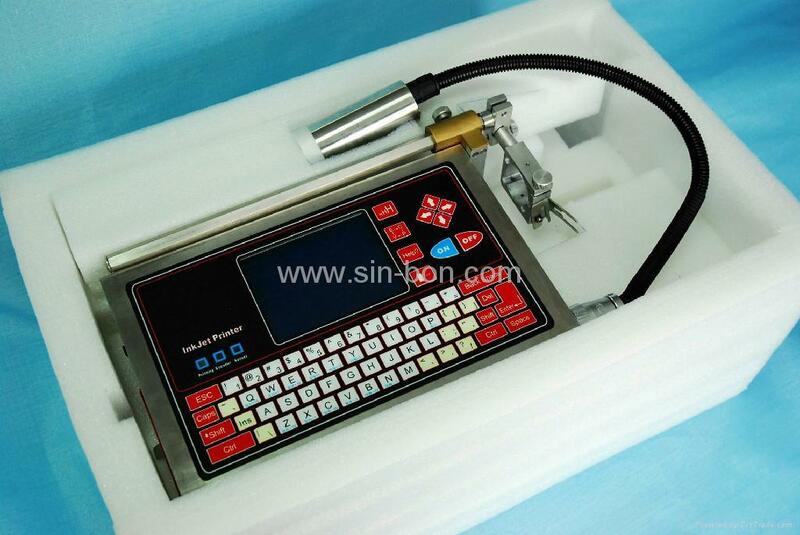 Printing Direction: Spray head can be rotated 180° to forward, reverse, vertical downward. 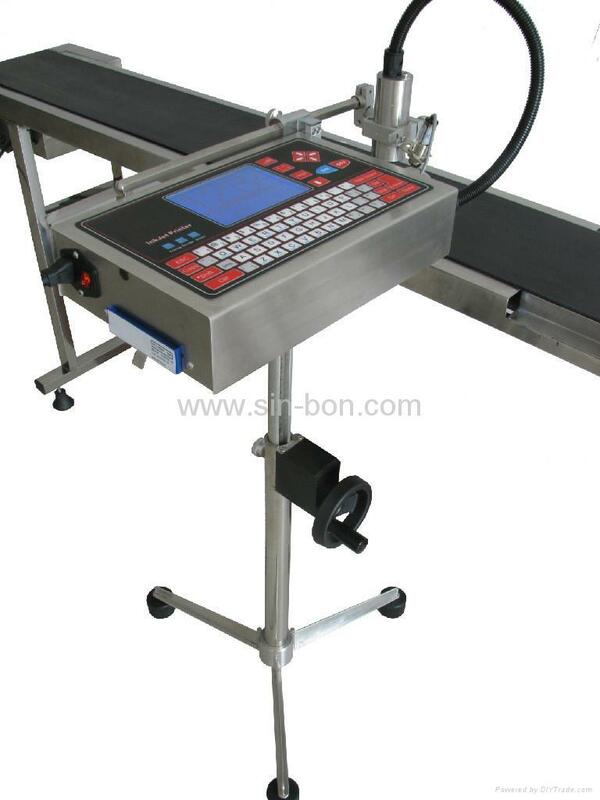 Applicable products: Display screen of mobile phone, drink lids, food package bags, medicine package, steel-plastic door & window, aluminum alloy, battery, plastic tube, steel plate, PCB, chip, woven bag, egg, brake, housing for mobile phone, carton etc. Ink Cartridge: Solvant based environmentally friendly ink cartridge or oil based ink cartridge. No need to use gas source or dilution. The mainframe is equipped with 4 fonts library ( SongTi, HeiTi, KongxinTi, Dot Matrix font). When editting, these 4 fonts can be mixed for layout at the same time. If other fonts are needed, it can be transfered via computer. The editting interface of the mainframe can be switched from Chinese to English, or from English to Chinese at any time, which makes it to meet requirements in overseas market.